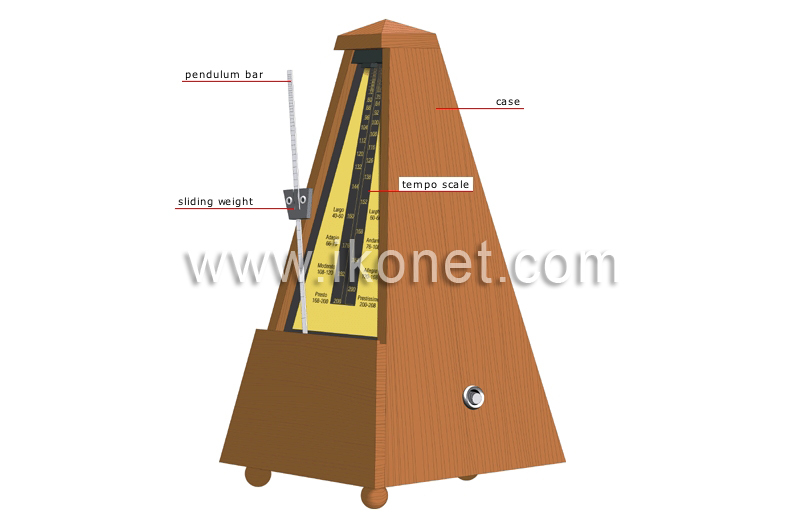 Spring-activated pendular instrument whose beats can be synchronized with the tempo of a piece of music while practicing. Adjustable weight that is moved along the pendulum bar to regulate the frequency of the beats. Scale calibrated to a number of beats per minute (40 to 208) and used to match the tempo of a given piece of music (adagio, allegro, vivace and so forth). Metal rod that oscillates from one side of an axis to the other to produce a sound signal.